Computer Backup -- Simpler is Better! I recently had someone proudly explain to me how extremely happy he was with his backup situation -- he had spent the better part of the week on the phone with Acronis technical support and had finally configured the latest version of Acronis Home 2011 to incrementally and continuously backup his system! He was happy. I was incredulous and didn't know where to begin explaining what was wrong with that picture. Oh. My. God. If you need backup for Windows 7, Vista, or XP, this is not the way to go. The principle of Occam's Razor is that, all other things being equal, the simpler explanation for something is the better -- and the corollary is that the simpler solution to a problem is the better one -- for a lot of reasons. Swiss Army Knives that were 2 inches thick and had 47 different tools folded away? They had everything from a saw, to a spoon, to a leather punch, to a, well ... knife. The problem is, amazing and cool as they were, or are, they aren't really very good saws, or even knives. Too complex, too cumbersome. Jack-of-all-trades, master of none. I do not mean to pick on Acronis Home 2011, which is a well designed and potentially useful product, but it, and other complex Backup Programs like it suffer from the Swiss Army knife problem. Too many options, too many choices, too many technical details. They are not intuitive, they may require tech support to get you working properly ... and they are not so simple that, a year or so down the road, when you absolutely, positively need them to work, that you remember how to make them work, and they actually do. Too many times have I discovered, as a technically aware person for goodness sake (! ), that my archival backup solution was, drumroll please, Corrupt, or Incomplete, or whatever. Most people do not need instantaneous, incremental, real-time, continuous file-system back, and it adds a level of complexity to the backup and restore process that can get in the way of actual backup and restore. What we do need is rock solid, quickly available file and system disk availability and restore. You get that from disk cloning or disk imaging. And you are better off having that from a dedicated, small, idiot-proof (which is a good thing when you are flustered and desperate) program that is ALWAYS available to you. I have written about this before, and I suppose I will again, but it bears repeating, having a boot or system disk clone is the single most reliable and speedy way to recover from a disk failure or even from an infection. If your boot disk fails, you can boot from the backup disk. If your boot disk is infected (and you haven't cloned the infected disk to the backup), you can boot from the backup disk and scan and clean the original boot disk. If you lose a file, you can just go get it from the backup disk. 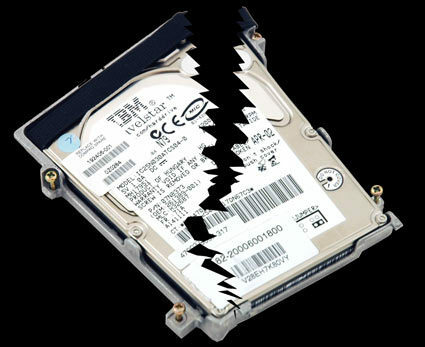 If you have an archival backup, in the case of disk failure, you have to restore your operating system and your programs to a new disk, install your backup program, and then restore all of your data. Boy that takes a long time. Hope it works out for you. Acronis Home 2011, Norton Ghost 15, and Laplink Diskimage, as well as other programs all do cloning, but my favorite is Casper (The Friendly Ghost) 7.0 -- it is a simple, fast, and reliable program dedicated to one thing only. The only other thing you need is a USB or eSata external Drive and they are cheap -- well under a hundred bucks. And if you want daily or multiple daily backups of data files, check out IDrive for backup to the Cloud of up to 5 GB of data for free. You will have the best of both worlds. Backup for all of your data and a quick restore for that and your most frequently changing data. Don't lose those Photos, and Letters, and Invoices, and don't waste your time.